City officials in Englewood, N.J., saw understaffing in some of the city’s departments resulting in a slow permit application process. Manual paperwork processes also bogged down city inspectors. Because of this, the city’s building department was not optimally productive, and turnaround on permit processing was slow. In addition, applicants had to apply and pay for permits in-person. The complete process required a great deal of time and resources. Management decided that the solution was to move the city’s paper-based permitting and code enforcement systems to a more efficient, cloud-based operation. The city chose an online setup from Newark, N.J.–based Bright Star Technologies. This decision required thoughtful planning and changes in building department operations. Through the new system, citizens, contractors and businesses can now access the online “Citizen Portal” for permit and code enforcement information in real-time 24 hours a day, seven days a week. Outside the office, inspectors enter information via their iPads, where it is simultaneously updated in the system. The upgrade was completed in February 2013. 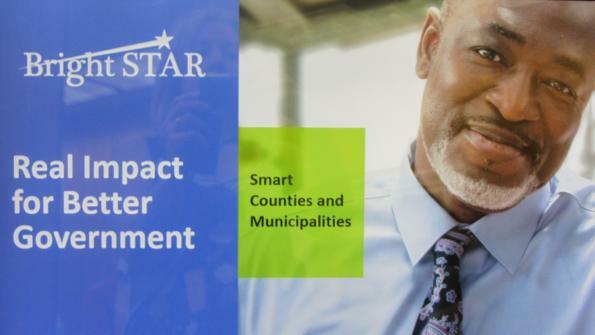 “The integration of Bright Star Technologies’ system into one of the most important functions of our city government has now streamlined service delivery,” says Frank Huttle III, Englewood’s mayor. He adds that the move to the new IT setup has reduced costs and enhanced responsiveness, bringing Englewood’s municipal IT systems into the 21st century. Click here to learn more about Bright Star Technologies.